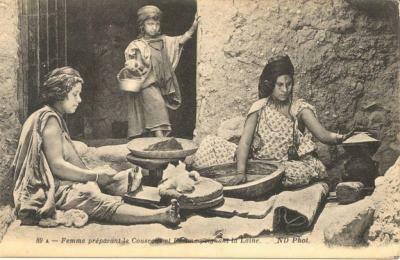 Essaouiran food culture is rich of old traditions and influences not only from the Arabs, Imazighen and the Jews but it also have influences from Africa and Europe. 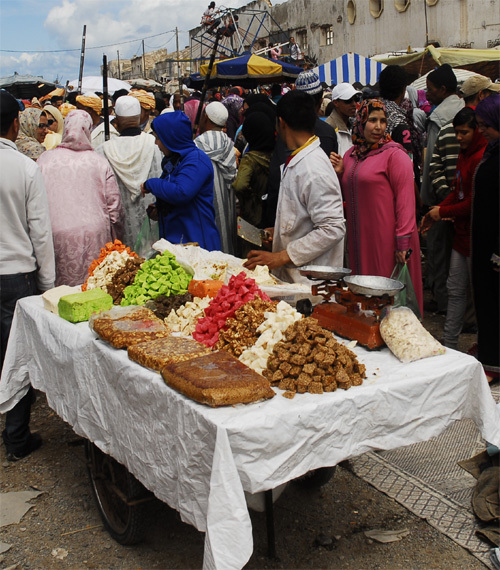 Essaouira is the heir of gastronomy cities of western Andalusia (Spain and Portugal West) and they are part of the Moroccan-Portuguese gastronomy included no exception: Salad Market Hazina, the fish-based tagines and the famous cake and safiotes souiri: Massapan. 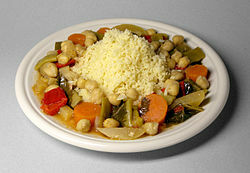 Without forgetting that the Berber cuisine and especially Jewish cuisine is marked this land; Jewish cuisine is also known by the Skhina. 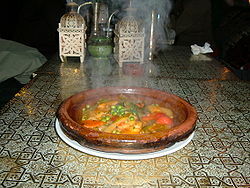 The food of Essaouira offers delicious fish dishes with spices and vegetables that have ripened under ideal sun . For many, this is the best oriental cuisine in the world and no doubt it will flatter your palate. Sellou is a unique Moroccan sweet made from toasted sesames, fried almonds and flour that has been browned in the oven. be consumed when the fast is broken. Taken in Tifariti, Western Sahara. a distance to produce a foam on the tea. the third glass is as gentle as death. 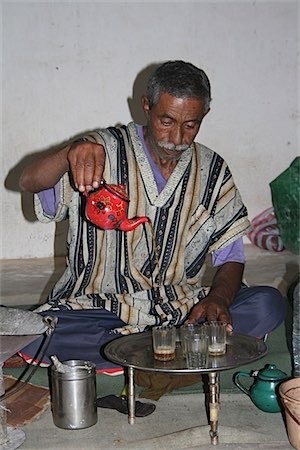 In winter sometimes leaves of wormwood (chiba or sheeba in Moroccan Arabic) are substituted for (or used to complement) the mint, giving the tea a distinctly bitter flavor. Lemon Verbena (louiza in Moroccan) is also used to give it a lemony flavor.